So I was all set and ready to write a horrible review on this product. Non-dairy cream cheese, probably one of the hardest things to make vegan. I kept tasting it plain, straight from the container, and all I could think was, "Ewwww." It tastes (and smells) like tofu, and I was trying to get away from that "other" strongly tofu-flavored cream cheese brand. You know how sometimes you can taste what you smell? Well, this tastes like the smell of the paste you used in kindergarten. I figured, okay maybe it's fine in recipes...but eaten as is? Helllls no. That is, until I took a bite of it spread on a plain toasted bagel. 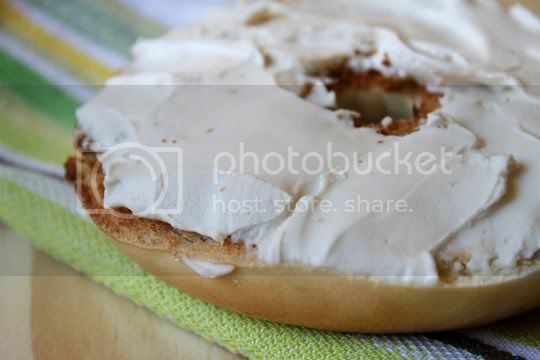 Suddenly, that weird tofu/paste taste was gone, magically masked by the bagel. Hmmm, not so bad. I took another bite: sure enough, my tastes buds were quickly acclimating. Now the cream cheese was creamy and thick, and savory with that slight tang I'm used to from the regular stuff. Really, after a while, I couldn't even tell the difference! Buy again? Yes, but it's a necessity to eat other foods with it. I love this stuff! 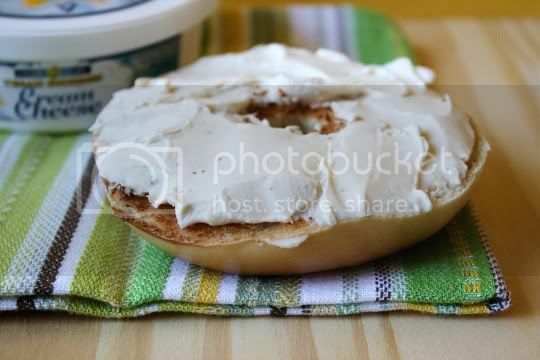 It's as close as I can get to recreating the bagel-and-cream cheese Sunday morning breakfasts I enjoyed growing up in NYC. I have been guilty of sticking my finger in the container and eating it straight. And thankfully without any reminiscences of kindergarten paste, I might add! P.S. 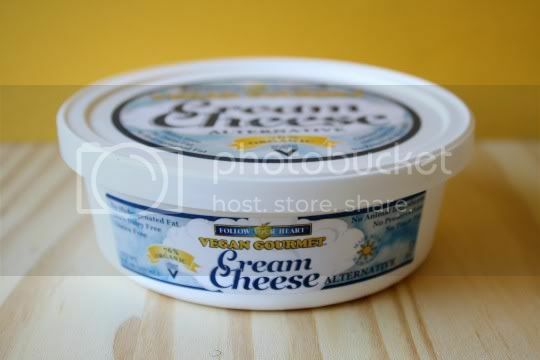 This cream cheese works perfectly in making the most delectable vegan cheesecakes!